This program automates some of the tedious manual process of building a plugin into your Hercules server on a Windows Machine. It follows the instructions on the Hercules Wiki. From the guide linked, this does steps 1 to 10 of the Old Method (for Windows). The requirements are still the same (IDE, etc.). This simply manages the repetitive things that need to be done manually. It also performs error checking so that it's newbie friendly. 2. Locates your Hercules folder. 3. Copies your `YourProject.c` file into your `hercules/src/plugins/` folder. 4. 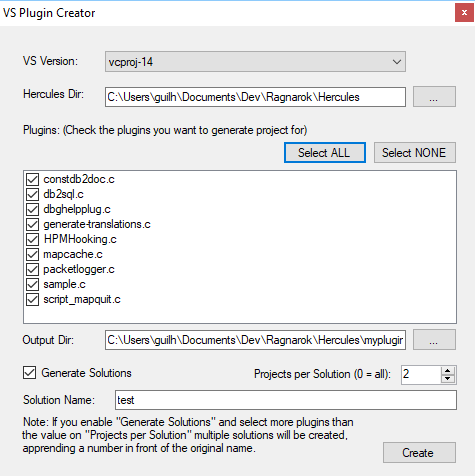 Select which visual studio project to use. 5. Copies the `plugin-sample.vcxproj` template into your own `YourProject.vcxproj`. 9. Finally, instructs you to do the remaining things, as specified in the Hercules Wikipedia. I was trying some plugins a couple days ago and was bored of creating VS Projects by hand for each plugin, so I made this simple tool. You just have to set where's your Hercules is, the VS version you want to create projects for and where it should create on. The list of files in your src/plugins folder will be shown so you can choose which plugins you want to create VS Projects for. Also, it saves your settings so you don't have to fill these inputs everytime. If you find any issues with it, let me know and I will try to fix it. Create a new project from File > New project. Go in the settings tab and set the path of your database. If you're using pre-renewal, then drop the pre-re folder in the "Server DB path" box (drop the re folder otherwise). Don't drop your "db" folder, it needs to be a subpath! 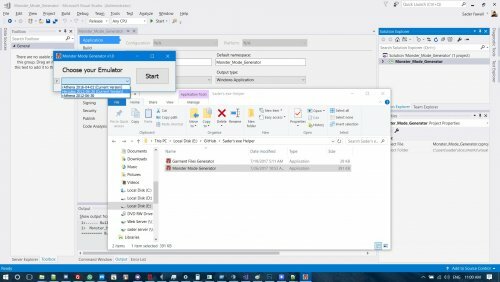 There are multiple ways to save the database : quick save, full save and export. Quick save keeps the commands you've applied on the database (Ctrl-S), this is the saving option you should be using. Export (File > Export to db/SQL) exports the database to another folder and this is normally used to convert databases.